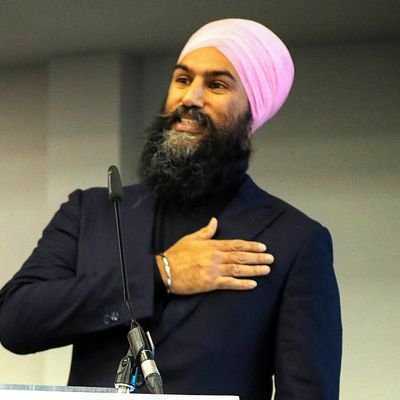 While JustinTrudeau has come under fire over allegations that his office had pressurised the former minister for justice to intervene in the SNC-Lalvin fraud case, the Canadian Prime Minister’s arch rival and NDP leader Jagmeet Singh has sought to corner him by demanding an investigation into the issue by the Federal Ethics Commissioner. SNC-Lalvin was one of the world’s major construction, infrastructure and engineering giants based in Qubec province of Canada. The company was charged by the Royal Canadian Mounted Police (RCMP) in 2015 with alleged bribery and corruption in a bid to secure government business in Libya. The construction giant had sought for a remediation agreement in its apparent bid to save itself from any damage. After allegedly having lobbied with certain officials in the PMO, the Trudeu government had allegedly made a criminal code amendment a part of its 2018 for allowance of making certain agreements negotiable in case of corporate crimes on the pattern of the UK and the US. On the other hand, the Director of Public Prosecutions Kathleen Roussel had conveyed it to the company in October 2018 that any remediation agreement would not be possible in the case as it would be inappropriate. Days after the development, Jody Wilson-Raybould, then Minister of Justice and Attorney General of Canadian Liberal MP from the riding of Vancouver Granville was moved as the Minister of Veterans Affairs of Canada on January 14, 2019—a step widely viewed as a demotion. Jagmeet Singh who was canvassing in Burnaby in British Columbia for a slot in the House of Commons in the upcoming February 25 byelection said the PM should welcome an independent investigation by the Federal Ethics Commissioner. 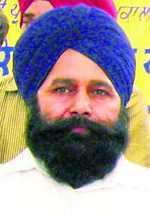 Hitting out at Trudeau, Singh said there was nothing for the PM to be fearful of any such investigation in the reported serious allegations appearing in media reports. He alleged that Wilson-Raybould was demoted for she had refused to intervene in the case or to toe the line of PM’s aides. The allegations pointed towards the Trudueu aides in the PMO saying they were ‘trying to depend’ upon Wilson-Raybould so that the latter should persuade the federal director of public prosecutions for negotiating a "remediation agreement" with the construction giant so that some top company officials could be held accountable in place of initation of a criminal prosecution against the company. Jagmeet Singh asked Trudeau to clear the air and exhorted him to invite the Federal Ethics Commissioner to investigate the allegations. He said it appeared that a corporation, which has been making alleged “illegal” donations to the Liberals and others, had been able to change the course of government and the law and also tried to presssurise the Attorney General for its interests. He alleged it appeared the Trudeau-led government was siding with a multinational and not with people of Canada or Justice. Wilson-Raybould has already refused to comment on the allegations. Trudeau has been denying that anyone from his office had pressurised the former Justice Minister for interfering in the SNC-Lavalin fraud case.